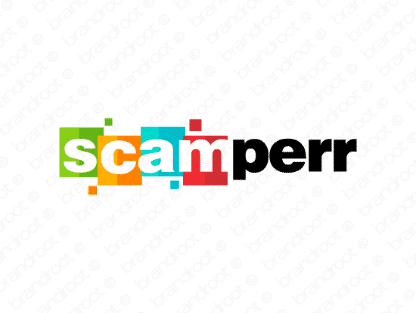 Brand scamperr is for sale on Brandroot.com! A quirky and fun take on the word "scamper" that moves with a bouncy and energetic sense of agility. Scamperr is clever and snappy, with great promise for a broad variety of different brands, from innovative travel services to health and fitness products or children's entertainment brands. You will have full ownership and rights to Scamperr.com. One of our professional Brandroot representatives will contact you and walk you through the entire transfer process.